We took a week off last week to enjoy some extra knitting time over the bank holiday weekend (or public holiday, if you’re not from the UK). But we’re back with another round of our favourite things, so grab a cuppa and settle in! 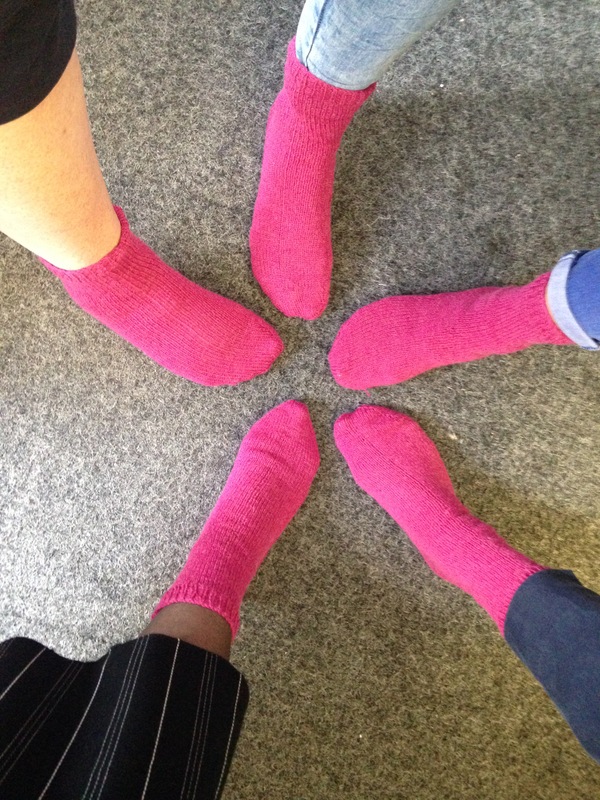 Our next learn to knit course starts this week – somehow it’s our third course! We’re holding it at Whole Foods in Cheltenham – if you want to pop down and join us we’ll be there 6.45pm on Tuesday for the start of the course. Tickets are still available here. In terms of our knitting, it seems the change of season has spurred us all on to finish things over the last fortnight – or perhaps it’s the opportunity to cast on all the new things. Either way, a small drop in temperature and the big projects are all out! Alpaca, bulky yarn – we love summer, but it’s nice to get bigger projects underway once the first hint of autumn appears. 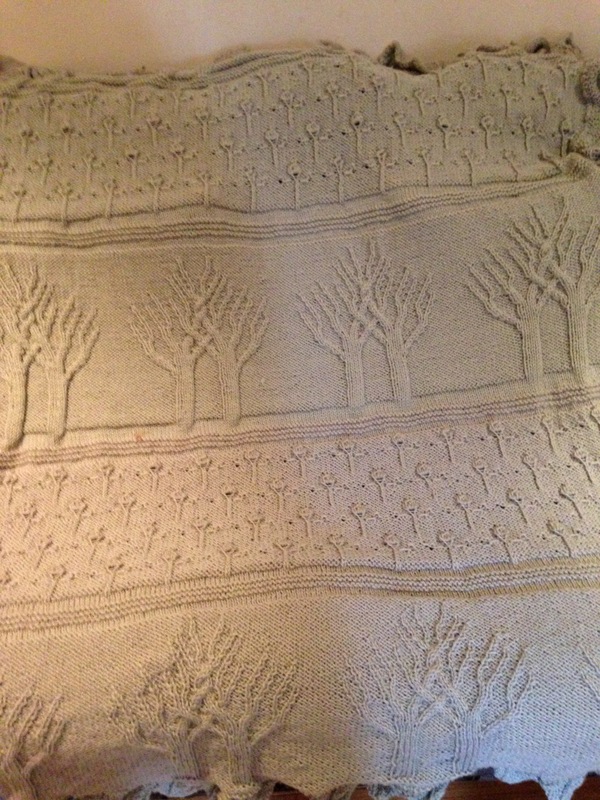 Sheila finished her amazing Tree of Life Afghan – we know she’s a seriously talented knitter, but she likes to raise the bar every now and again! 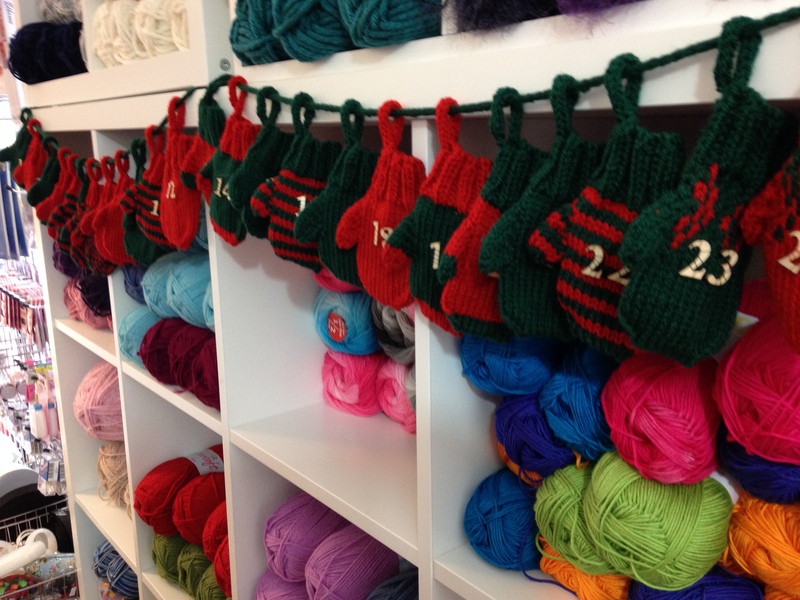 She has also knitted some fab tiny mittens as part of a display in our lovely friend Jemma’s shop The Crafty Hands Company in Chipping Campden – they are a wonderful idea for an advent calendar. If you’re starting to think about knitting for the Christmas season (yep, it’s almost that time of year again) you can join us for Christmas knitting sessions in October or November. 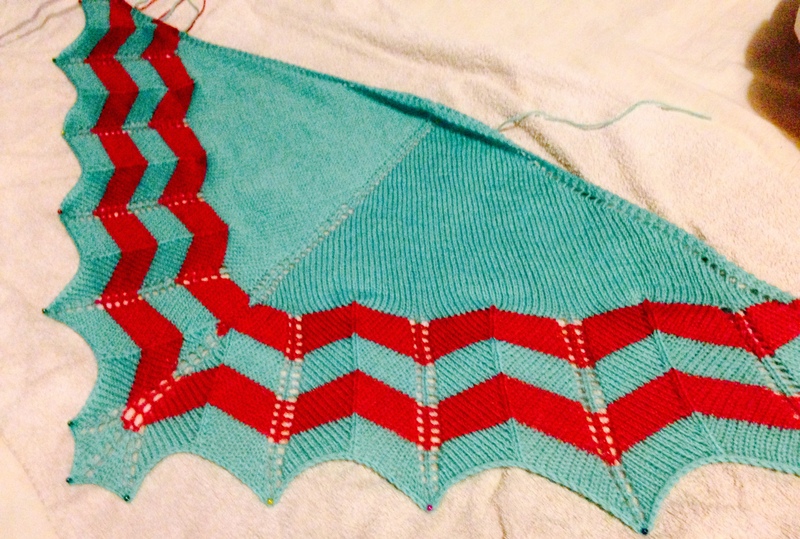 Hannah has finished her second Schmeichler shawl in fabulous shades of turquoise and pink and while checking through her stash she fell in back in love with some 4-ply merino. She’s giving in to the Hitofude fever that Sheila inadvertently started a few weeks ago… This is the problem when you work with fellow knitters – patterns can be contagious! Andi’s blog about knitting in public was spot on! We are prolific knitters in public – on planes, in waiting rooms and in pretty much every coffee shop we visit together. We thought The Purl Bee’s Rectangular Colorblock Bias Blanket was beautiful. And so is Julie’s Grey Mist cowl – the yarn is glorious and the dinosaur sheets are pretty amazing too! And this was our favourite pin of the week! How was your week? Are you also experiencing the need to finish everything and cast on new projects for the new season? what a great round up, and thanks so much for including my grey mist cowl!